Structure started out as a white box space and we remodeled it into custom space for tenant. 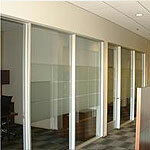 The remodeling included framing, drywall, painting, flooring, ceilings, trim work and setting up of office furniture. 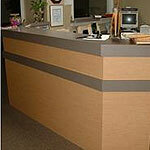 For the office we fabricated and installed receptionist desk, work station and cased light fictures. 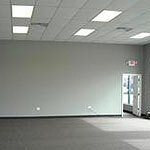 We framed, drywalled, painted, and installed carpet throughtout office. 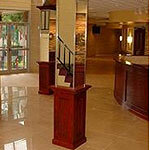 For this project we renovated the foyer, corridor and sanctuary. A few of the steps we took were framing, drywall, taping, painting, flooring, and custom woodworking. 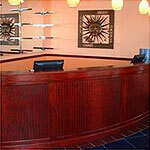 For the dentist office we fabricated all new receptionist area and work station. In the examine rooms we fabricated and installed new cabinets and counter tops. Building was in need of an exterior renovation. 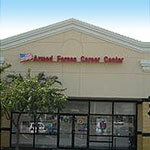 We added two new gables, roofing, concrete, asphalt work and complete repainting of building. We demoed the space and then completely remodeled it with new framing, drywall, paint, flooring, trim work, ceilings, plumbing, electrical and HVAC. This space was a preexisting structure that we refinished from the bottom up. We framed, drywalled, painted, and laid the floor. We installed oak raised panel doors and stained them for a finished look. For the trim we used 3 peice oak trim at top of walls and sofits. 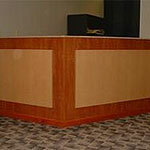 The front receptionist area was fabricated and finished at our shop and installed on site.